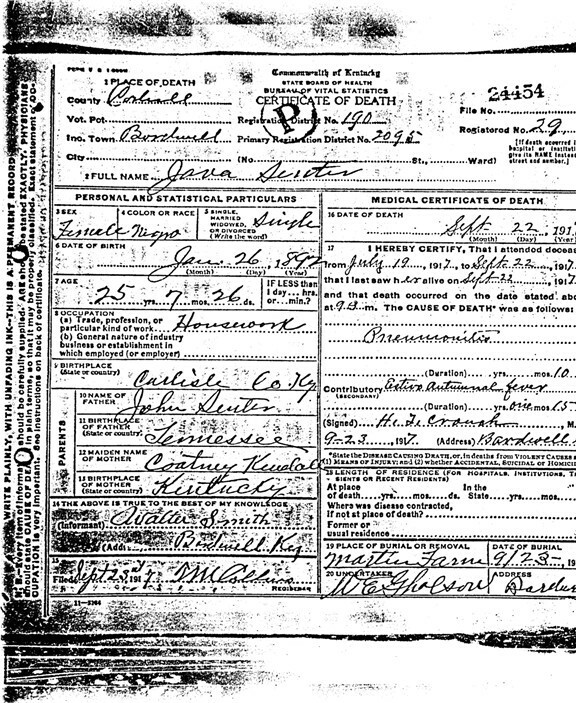 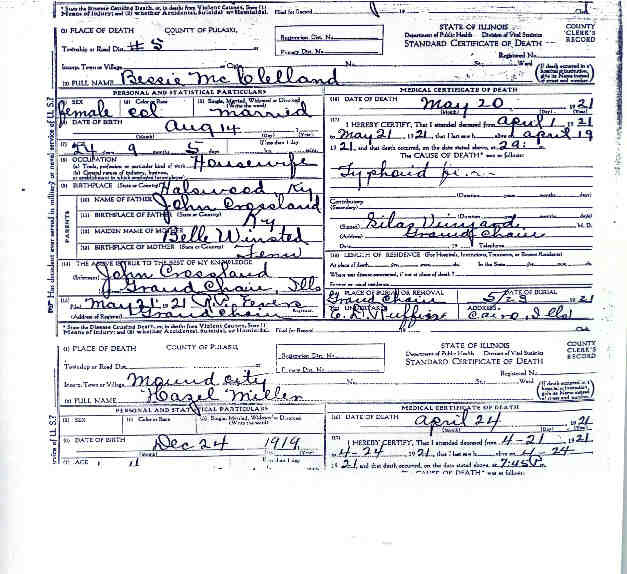 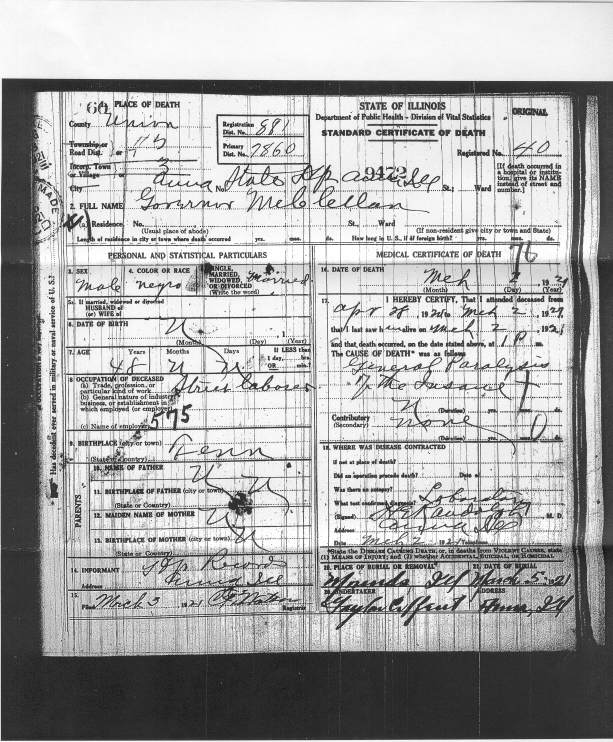 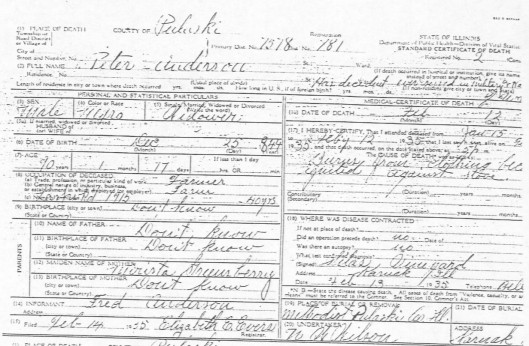 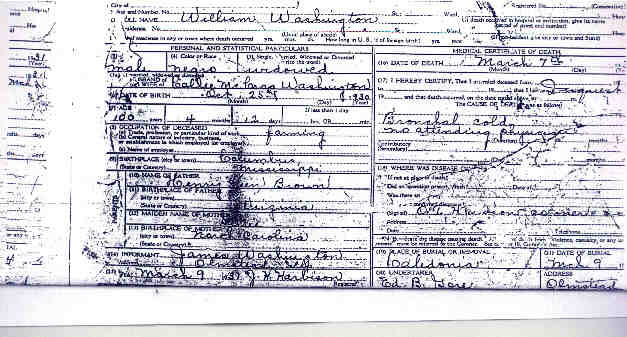 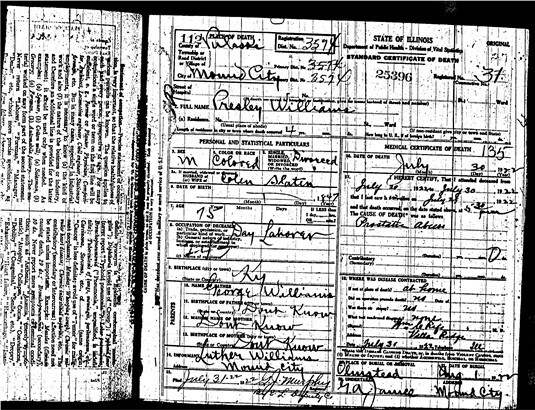 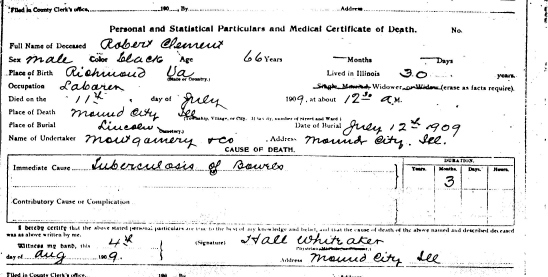 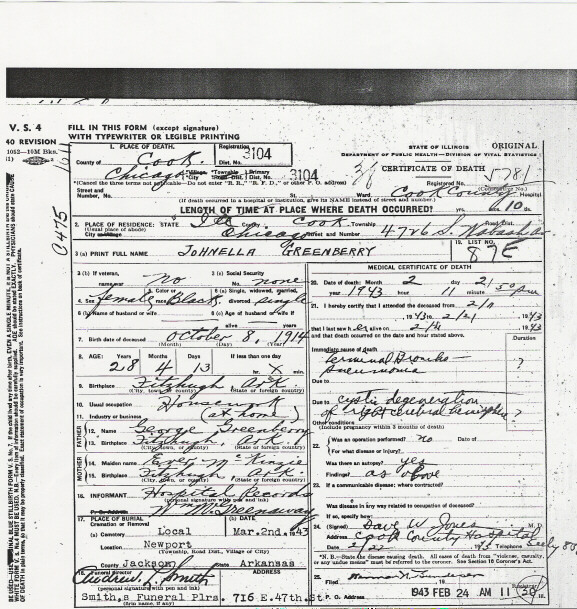 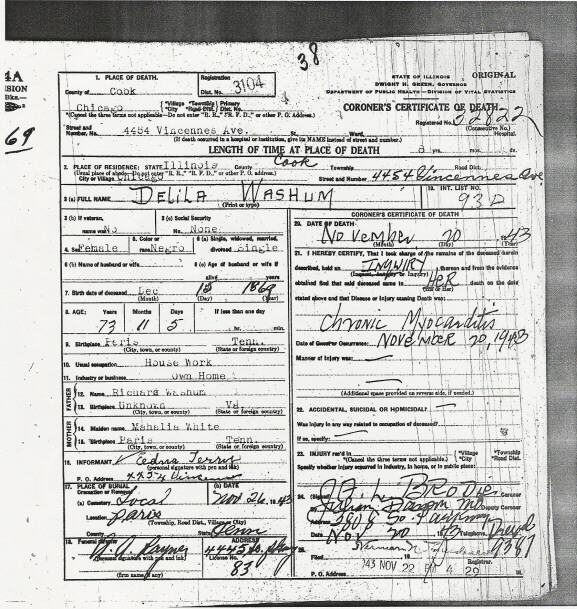 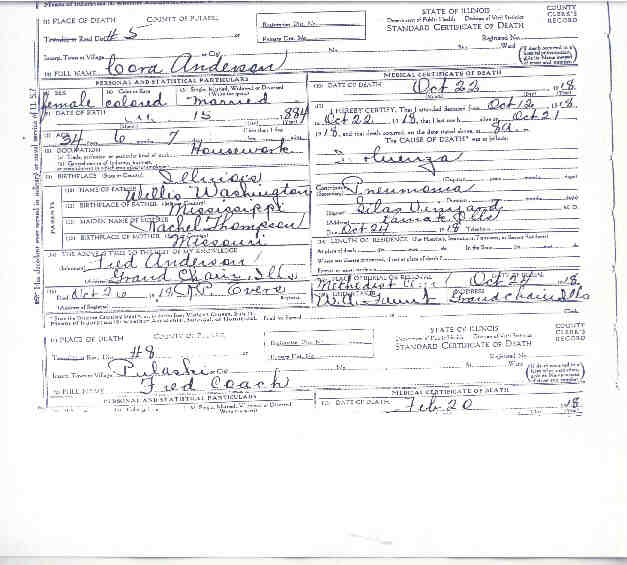 The majority of the death certificates found here are from Pulaski County, Illinois. 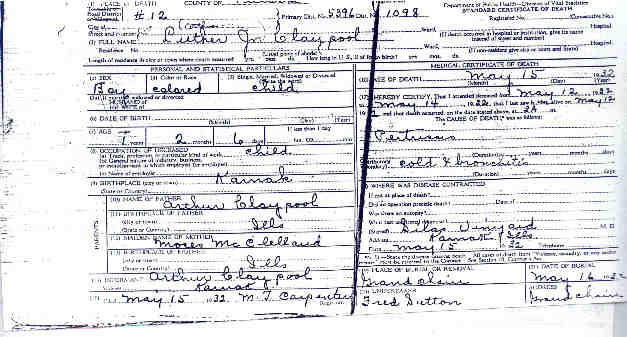 Some are from Madison County, Illinois and a few other places. 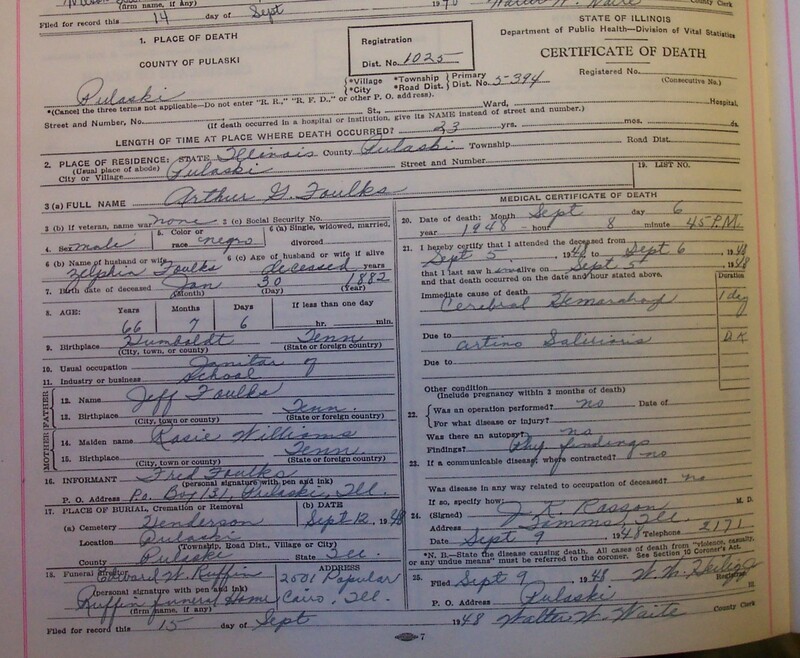 Many of the pages I've copied contained certificates of others not in any of my lines. 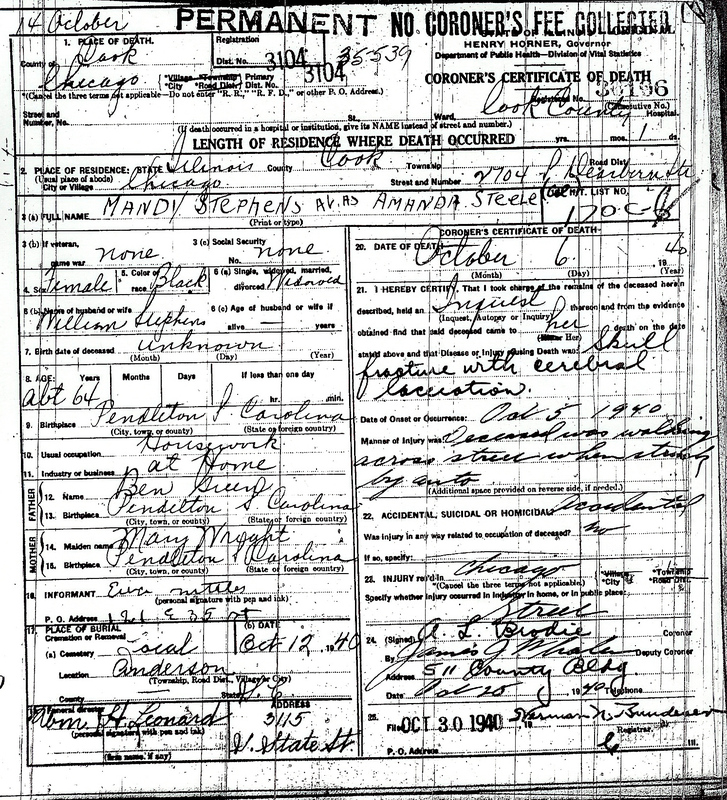 Check the list and see if there may be one of your ancestors here waiting to be claimed. 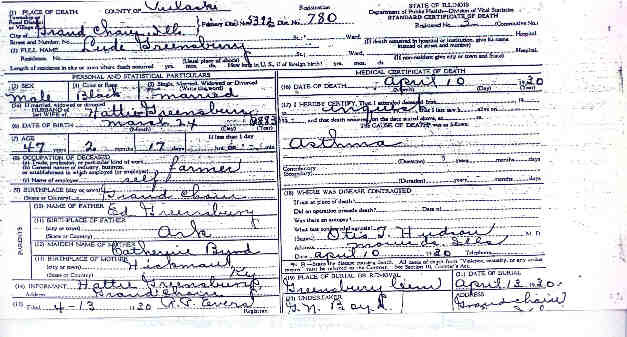 E-mail me for further information if your ancestor is listed here. 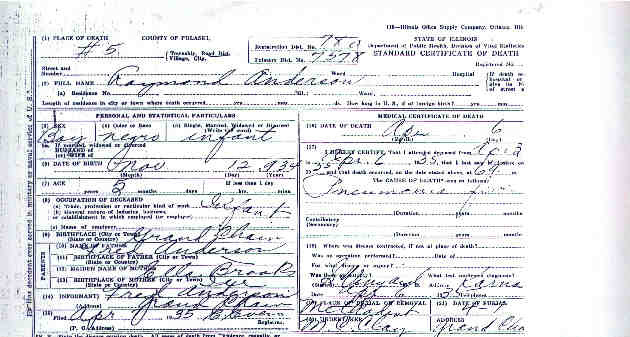 Please note, I do not at this time research for others, but if I already have a document on hand that pertains to your ancestor, I will be happy to provide you further information.